The NFL has a domestic violence problem and Joe Mixon’s entrance into the league will prove that most NFL owners do not care about anything, except winning. Mixon was the No. 1 running back recruit in the nation coming out of high school in 2014 and was hyped as the next Adrian Peterson upon his arrival to Norman, Oklahoma. The problem was, before he could play a single down, the Oklahoma Sooner freshman was suspended for an entire season for punching a female student in the face. No matter how many commercials they make advocating against domestic violence or memos they send out about cracking down on abusers, Roger Goodell and the rest of the NFL's officials seem incapable of finding a firm stance on how to punish players who commit domestic violence crimes. Cases are constantly handled differently and no clear precedent has come close to being established, especially regarding incoming draft eligible players with a history of domestic violence. This has made those prospects – and particularly Mixon – all the more perplexing. Years passed and people began to forget about Mixon’s actions, thinking instead about the stud player that he had become. Then, TMZ released footage of the incident in 2016, and an outcry ensued. 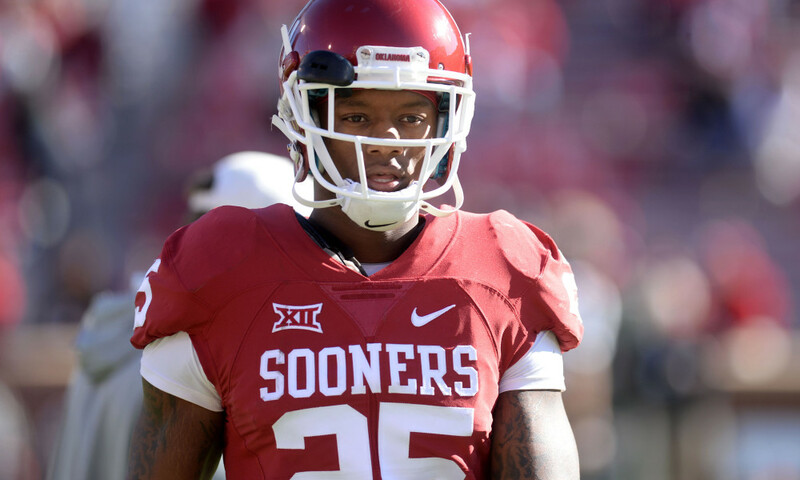 Many questioned whether or not Mixon should have simply been kicked off the Oklahoma team entirely following his actions, citing that a one year suspension was much too little a punishment for such an act. Others questioned the timing of the video’s release, arguing that the video would have been much more effective when the incident initially happened, not two and a half years later when Mixon was on the precipice of being drafted. But the real question is, why is Mixon about to be drafted in the first place? Ray Rice was one of the best running backs in football until a video of him knocking his fiancé out in an elevator went viral. Rice never played a down again, so why should Mixon get the chance to redeem himself while Rice is still trying to crawl back into the league? The answer is, Mixon is one of the best talents in the draft, and owners are willing to upset a few fans as long as their team is successful. A similar scenario played out last season with Kansas City Chiefs fifth-round pick Tyreek Hill. Hill was a dynamite wide receiver at Oklahoma State before being kicked off the program for his own domestic violence problems. He transferred to West Alabama to finish his college career before the Chiefs took him in the 2016 draft. Kansas City’s general manager made a calculated risk in taking Hill in the fifth round, thinking that though it may upset a few fans, Hill’s level of talent was too high to pass up. Hill went on to have an amazing year and lifted the Chiefs’ offense to new heights, but his checkered past was brought up more and more as his popularity around the league rose. At least once per contest, announcers of Kansas City’s games would be put in a position where they would have to bring up Hill’s violent past. And although that situation is in the rear-view mirror, his past will never go away. It will always make fans uncomfortable and put into perspective whether we should be rooting for the rising star, or against him. This brings us to Mixon. In a draft class loaded with talent at the running back position, one would think that a player with a history of domestic violence would not be selected until late in the draft – if at all. However, due to his immense talent, some pundits have argued that Mixon will still be taken in the first round, despite the potential backlash that could ensue from fans. Former Pro-Bowl running back turned NFL analyst Maurice Jones-Drew has touted Mixon as the best back in the draft, while esteemed NFL draft pundit Mel Kiper Jr. agreed. Kiper Jr. is suggesting that because of Mixon’s immense talent, he is likely not to fall far at all, which sets a bad example to aspiring athletes that talent outweighs character. In a way, Kiper’s stance is understandable. Mixon is a downright stud. He is a prototypical-sized back who can run between the tackles, has lightning-speed, hands like a receiver and can even pass protect. He has drawn comparisons to the likes of Le'veon Bell and David Johnson – two of the game’s best backs. Players like that are not easy to come by. In all likelihood, Mixon will go on to have a solid professional career. But wherever he goes, a dark cloud will be hanging over his head and his NFL employer will be heavily ridiculed. The former Sooner was not even invited to the NFL combine as the league’s way of avoiding having to talk about his incident, much to the chagrin of many GMs around the league. The sad truth is that there is no avoiding the situation any longer. Come draft night, the NFL will not be able to hide from talking about Mixon's uncomfortable past. Perhaps as the years go by, Mixon will outshine his label as ‘woman-beater.’ He may start a charity to help women who have suffered domestic abuse with all the money he makes in the NFL. He might become the best running back in the NFL and use his fame to make sure young athletes do not make the same mistakes he did. But until that time comes, Mixon remains part of the NFL’s domestic violence problem. A problem that is not going away anytime soon.